I’ve been a bit behind on posting these past few weeks. Well…you know. I’ve been training for a triathalon, saving baby elephants, walking 150 miles in the snow for groceries, mining crystals for a new lightsaber and baking monkey bread. Oh-and the dog ate my homework. Alright…that’s not totally true. I only walked 100 miles in the snow. 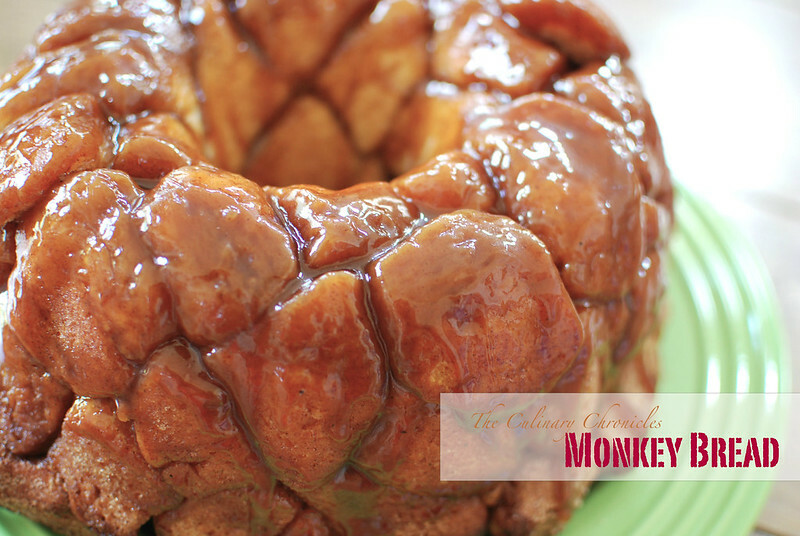 But I think you’ll forgive me if you make this Monkey Bread. Easy and decadently delicious. The recipe isn’t cutting edge or new but it’s definitely one you need to have in your back pocket. 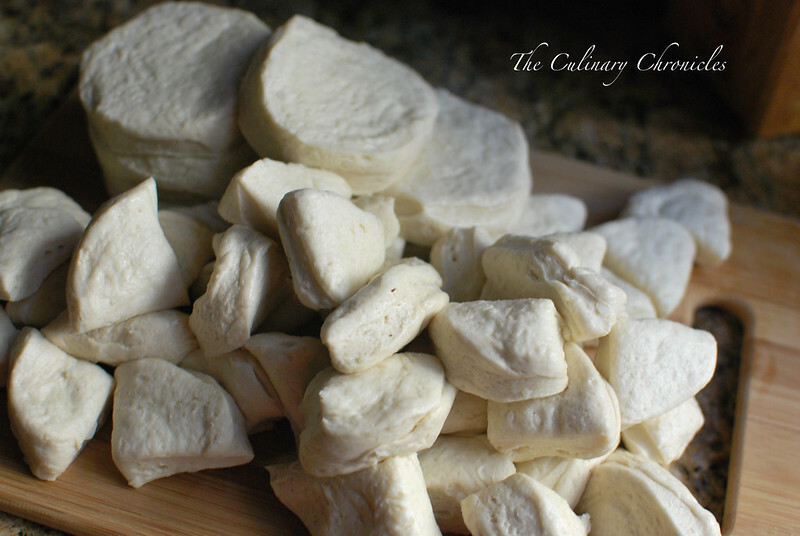 I start off by cutting up canned biscuit dough. Yup, the store bought kind. You can definitely make your own dough but this gal likes to live life on the edge. 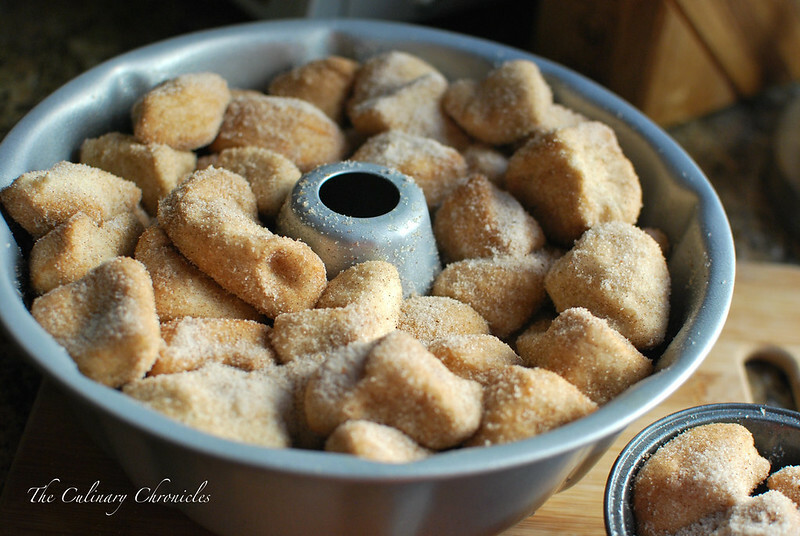 Then toss the dough into a mixture of sugar, cinnamon, cloves, allspice and nutmeg. Pile the dough into a greased bundt pan or an angel food pan. Next I melt just a tad of butter and brown sugar together. After the sugar dissolves, I whisk in a few splashes of vanilla extract and a pinch or two of kosher salt. 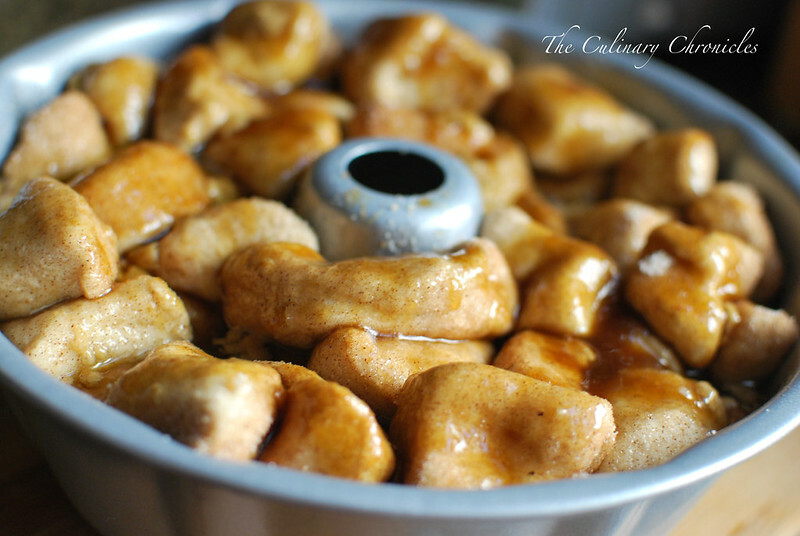 Then I drizzle the caramel-like sauce over the dough and bake it for about 30-35 minutes or until golden brown. After the Monkey Bread cools for a bit, carefully invert it onto a plate. The most delish donut/cinnamon roll/breakfast bun magic you’ll ever taste! Super ooey-gooey from the glaze with little crunchy, sugar bits. Cut each biscuit into quarters. 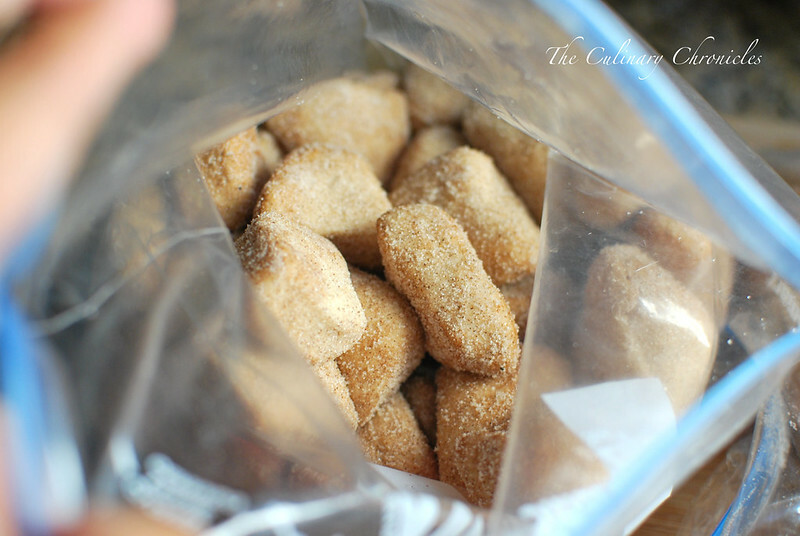 In a large plastic resealable bag, add in the sugar, cinnamon, nutmeg, cloves and allspice. Seal the bag and gently shake so the ingredients are well mixed. Open the bag and add the biscuit dough. Seal the bag again and carefully shake until all of the dough has been well covered. *You may need to do this in two separate bags to fit all of the dough. Spray the inside of a bundt pan or angel food pan with cooking spray. If using an angel food pan, be sure to cover the bottom with aluminum foil. Layer the sugared dough into the pan. Sprinkle any of the remaining sugar mixture from the plastic bag on top of the dough. 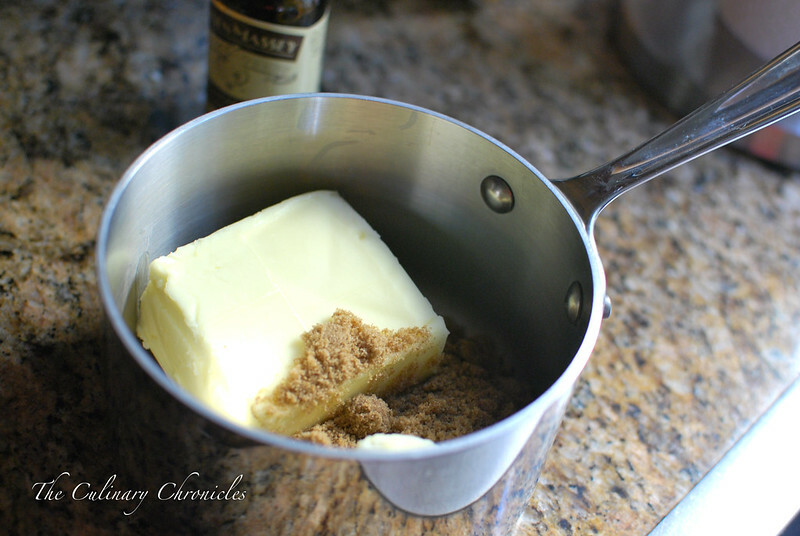 In a small sauce pan, melt together the butter and brown sugar. Once the sugar has dissolved, remove from the heat. Whisk in the salt and vanilla extract. Pour the sauce over the dough and gently rap the pan on the counter a few times. Place the pan on a baking sheet (in case the sauce bubbles over) and bake for about 30-35 minutes or until the top becomes a deep golden brown. Allow to cool for 10 minutes on a cooling rack before inverting onto a large plate. Serve immediately. This has been on the to-make list for so long! 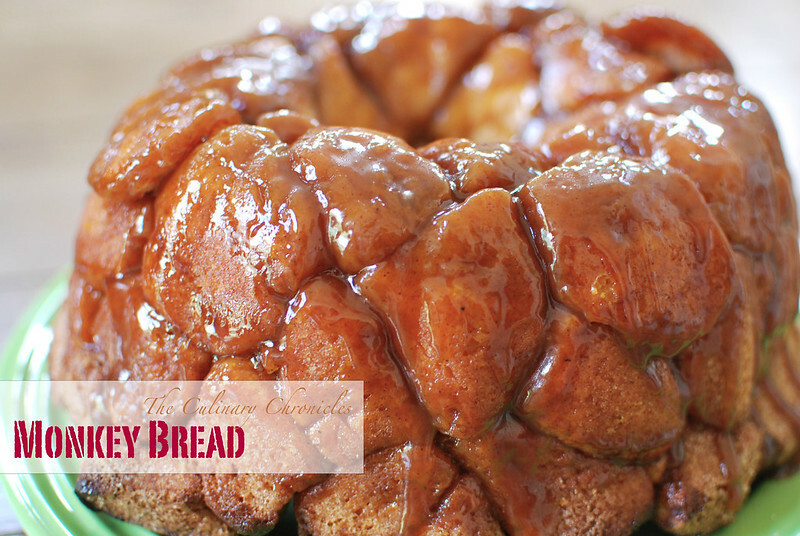 Can’t believe we still have not made monkey bread. Thanks for the reminder. It looks delicious and perfect for a brunch party.